The entire union cabinet is now camping in Varanasi. Modi ji has already done a road show and reports are coming in that he will embark on another road show soon. The UP voters have given our big guns a run for their money. It is not only the cabinet, friends are reporting, that hotels in Varanasi are already booked and a large number of ‘karyakartas’ are being ‘imported’ from other states for BJP. Why has the BJP gone with all its might in Varanasi ? Why is it happening that Modi trying to use his jumlas against the economists too. He joked at ‘Harvard’ economist and told people that he is here because of his ‘hard work’. In his over enthusiasm, he went overboard to mock Rahul Gandhi’s talk in Manipur that about Pineapple Juice being exported to England with Made in Manipur mark. Modi mocked at Rahul saying that every body knows ‘Nariyal’ has water inside it not juice. In trying to mock at Rahul, Modi actually, made joke of himself for clearly his inability to understand that Pineapple is not Nariyal i.e. coconut. Never have a party used so much of media to influence the voters. After the election commission ordered, editor of Dainik Jagaran’s arrest for publishing Exit Poll results, the journalists and media stopped but their crookedness is still working. Even those who claim to have fairness are giving their ‘predictions’ for a BJP victory in the state. My point is not that they can’t predict. But is it fare to do so in the volatile environment? Is it a journalist or astrologer who rarely go right. This started with Akar Patel and now Rajdeep Sardesai, Sagarika Ghosh and Swaminathan Aiyar too have come out with their prediction of a BJP victory and how Modi is going to stay for a long haul in India. Is media realising that in the absence of a united opposition, Modi’s will remain in power for long and hence they have to make way with him otherwise they would lose business or is the media visualising that in the absence of Congress, the other parties might undo many things both the Congress or BJP have done. Is it an attempt to undermine the large scale protests and opposition to major policies of the government. If you have any doubt you can see the headlines of NDTV which give BJP chances of winning UP election as 55%-60% but there is no reason given to us except a few caste data of the past. Other channels are already working. When Modi alight from the airport to his visit to the temples, each details are informed minutely and deliberately. The Bhakt patrakars come in their studios early morning with their paid guests to discuss. The condition of Indian media is pathetic to say the least. They are stoopting slavishly. Of Course, many are trying to balance. If they publish one article of Sitaram Yechury, the next day they give a much bigger space to Subrahmanyam Swami. If they joke Narendra Modi then you must make a bigger joke on Rahul and his mother. Where is media covering Ms Mayawati’s rallies in Uttar Pradesh. Despite a known fact that BSP has a strong presence in Uttar Pradesh, the media did not even count them in picture. Why has it shamelessly showed its caste character when discussing BSP. A leading journalist responded saying that Mayawati does not need media but the same journalist said media is not showing her rallies. These public relations members of Bania shops are wasting your time. They get huge money for their talks and distortions. Actually distortion for them has become extortion. No channel can run if they dont get funds from political parties and corporate. And definitely not the entire money is ‘white’. Uttar Pradesh will give its verdict on March 11th. We know it is the most important election in our history. We know it well the importance it holds for India as a whole but then defeat and win are part of political system. Can the media wait till March 11th. 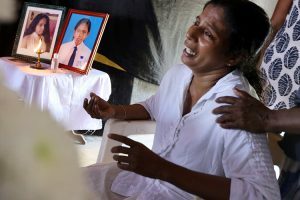 We know it will not allow us to sleep peacefully even before that. It will start giving its verdict from evening of March 8th when the final phase is over. In the meantime, I can only suggest, to stop listening to these politically correct paid discourses to confuse the voters to vote in a particular direction. Capitalist Media in todays time is the biggest threat to India’s democracy. It is unashamedly and unambiguously anti poor, anti Dalit-Bahujan, anti Muslim. In our discourse, time has come to make a critique of the political and electoral system, the First Past the Post System as it is made to help the power elite and maintain status quo. It is to use the smaller contradictions to benefit the brahmanical power elite. Hope our political parties, social movements, political and social scientists would debate on these issues in the coming days. Time has come to vigorously campaign against FPTP but not to invite the American model of the Presidential form, which is more dangerous and absolutely capitalist control. Let us think about those issues again to counter the power of money, castes and mafias in our elections. Meanwhile, keep your finger crossed till March 11th. We will definitely do an analysis of the media and its campaign of distortion against people.In the meanwhile, those voters of Uttar Pradesh who are going to vote in the last phase, would do well not to watch these news channels which are cooking different stories so that they fall in their trap and get confused. Vote according to your conscience and definitely not vote to those who divide you on religious and caste lines, vote according to your conscious and political belief and not according to those who are working at the behest of the ruling party and have forgotten their media ethics. Media is being (ab) used excessively by right wing party. The brahminical and manuvad tendency of the media is clearly visible. While modi and his campaign has been covered from every corner, the meetings of akhilesh have been few and far between. 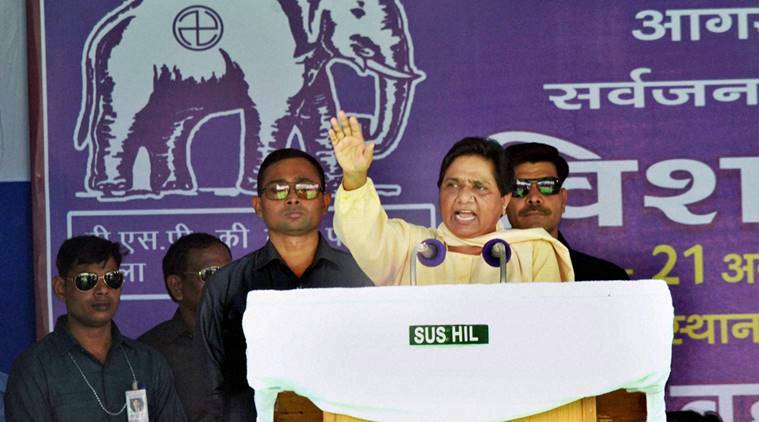 The rallies of mayawati have rarely made up to the media and it’s prime time coverage. If this is the pathetic state, one can imagine the total condition during elections. The usual bout of corruption, political hegemony and male chauvinism will have a great impact on win. Mayawati fight may be alone in vicious politics but her courage is indomitable and not lonely. She has support of dalits, Muslims and well wishers ..